Reading the daily news and the way “gotcha” journalism is slanted these days, it could be hard for us to believe that people from different religious, social and cultural mores could live in harmony. With all the fighting going on in different countries between factions of every stripe, is it the right time to talk about “harmony”? What is harmony? Well, I happened to witness an almost unbelievable example of social harmony and peaceful coexistence of dramatically different self-expressions last January in Krabi, south of Thailand. Even though generally Thailand is 95 percent Buddhist, Krabi's population includes few Buddhists. It happens to be populated by Thai-Chinese, Moken-sea Gypsies, but it has a plurality of Muslim inhabitants (42%). Traveling from Penang, Malaysia, for my work as an international human rights attorney, I had just arrived in the city when I saw this amazing and dramatically harmonic event. I was advised by my hotel to head to the night market, situated at the main square in town, to have dinner. I chose a table just in front of the square and I noticed a big banner: apparently, the city of Krabi was celebrating a festival all week long! I was excited. This was an important town event and I happened to be there that week merely by chance! During my al fresco dinner, Krabi gave me a taste of what this festival would be like. On the left of the square, some kind of civic ceremony went on for more than an hour lead by men and women, all wearing white clothes. A solemn, clearly religious, ritual followed next (I could not tell which religion), then a most surprising contrast! A show given by very young crowd, mostly girls, performing and singing the latest western pop songs (!). Surprise is not a strong enough word to describe how it felt to me to see all these celebrations at once! The public, composed of tourists and locals with their families and friends, all enjoyed the presentations and were wildly enthusiastic. 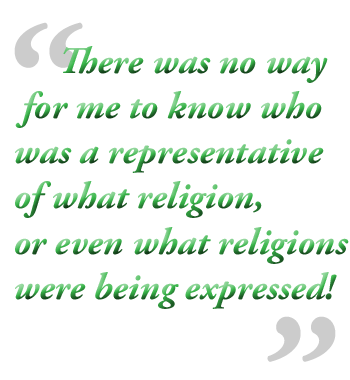 There was no way for me to know who was a representative of what religion, or even what religions were being expressed! Everyone was in a mood of euphoria and appreciation that was infectious, to say the least. I didn’t even know what the festival was about, but it made me want to dance for joy! I loved this mix of popular young music peppered by traditional ceremonies, (or was it the other way around?) I decided to go back the next night. At the beginning I thought it would more of the same as before but I could not have been more wrong! To my surprise––and more than a little shock––just immediately after I finished dinner (thank goodness), a very dramatic exhibition began right in front of the eyes of all present, even the children. The people in the ceremony wore no shirts and were in a kind of trance: they were cutting their tongues with razor blades! Some started to spout blood! It was almost unbearable to watch! However, they did not seem to have any pain or suffering. (My suspicion was that they were under some kind of hypnosis.) The most striking and interesting contrast––one that will probably surprise you as much as it did me––was that minutes after the bloody exhibition, a group of girls started a loud performance of nothing less than the famous Korean rap song Gangnamstyle! I would not have believed it, but I saw it with my own eyes! Totally befuddled by what in the world I had just witnessed, that very night when I got back to my hotel I started to research the Internet and found out that these acts of simulated-martyrdom were a small showcase for the Vegetarian Festival (!) which takes place almost all over Thailand in September or October. In the U.S., modern vegetarians are often called “tree huggers” and are associated with just about anything on the opposite extreme of anything connected to martyrdom or blood rituals! I have studied many things, but never have I heard of this association! Well, I learned something new! To show how strange the history of people and their rituals are, the origins of Thai vegetarian festivals are to be found around 150 years ago on the other side of the world from the U.S. and far from modern times. They began when a group of Chinese opera performers headed south. Upon performing their art on the island of Phuket, an epidemic illness swept across the group. They eventually decided that they had become sick because they had not worshipped or shown respect to the nine emperor gods from the Chinese Daoist belief. To this day, after the water throwing Songkran festival, the vegetarian festival in Thailand which is known as Tesagan Gin Jay, the Daoist- is one of Thailand’s largest events. The religious event includes acts such as walking barefoot across a stretch of ground paved with burning charcoal, climbing up and down a stepladder with cross-pieces made of sharp iron blades (also barefoot), and cutting, striking or piercing parts of the body with sharp or pointed objects. Almost all these acts are performed by adherents who are under hypnosis. Just the sheer contrasts made me wonder about how all these differing ideas could be accepted and given space for expression in Krabi! How would, say, even cities as well known for their acceptance of free expression, New York City or Amsterdam, be ready to accept such contrasting desires for self expression? Maybe it’s a lot easier to think that we are allowing freedom and space for everyone when expression is more homogenized? I don’t know. I simply cannot imagine a Parisian permitting anyone to present these contrasts in their public squares. Can you imagine the Daoists continuing to organize their traditional ceremonies in the main square of your town, full of tourists and travelers and then allowing certain young groups to express themselves with the latest fashionable dance? If freedom of speech is the basic universal freedom that was “self-evident” to the founders of the American Constitution, then what is going on in Krabi is a new Social Era freedom-of-expression phenomenon that makes the word “new” seem as though it has been given new meaning! Many countries would wish to have Krabi’s tolerance! I especially would like to take the case of Pakistan as a contrasting example. According to a BBC article, “There is growing intolerance [in Pakistan] society as the use of violence and weapons to address grievances rather than courts of law is on the increase.” Taliban extremism is terrorizing the population and minorities are experiencing kidnappings, torture and death. Intolerance of any difference in culture or religion has come to the absurd point of threatening even the charity medical teams who are working to eradicate Polio for the Pakastanis! Asia is an enormous and diverse region in the world. Deadly extremism can be found just some hundreds of kilometers away from harmony and peace. This is the case of the Malaysian city of Penang, where you can find a mosque, a Chinese Pagoda and a Hindu temple in the same block and its people practicing their own religion and ceremonies daily. Everyone has been given the space and respect that is our human right! In India, religious people can bring harmonious coexistence to the other extreme. Followers of Jainism believe that liberation can be reached by achieving complete purity of the soul, and that by following some austerities, such as fasting and meditation, one can reach purity. This belief can reach the use of a broom to sweep the path before them to avoid stepping on any living creature (!) or using a piece of cloth over their mouth and nose to prevent the accidental inhalation of insects. Harmonious coexistence is something to be taught and practiced as a way of living. I am sure that Krabi’s Penang’s school children do not notice the gift they have in this small town of Krabi, when they gaze at the religious performances at the square, whether Buddhist, Daoist or Muslim. They grow up with the deep belief that this is the normal way, that everyone has a right to practice his or her own religion. Let's follow their example. 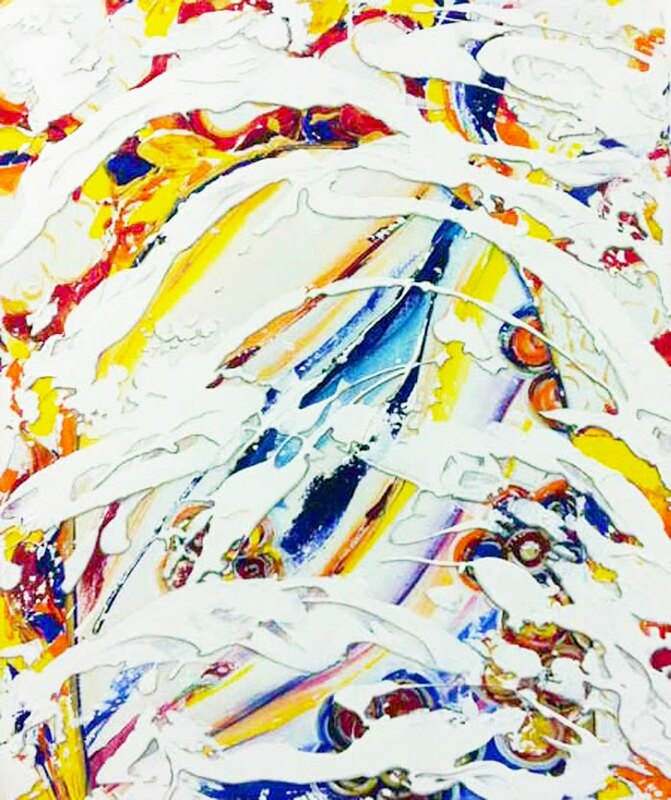 "Flowing Creativity knows no boundary in matter." "Art is an expression of love." Juliëtte has a fascination for light and movement. This has become her study in art at all levels, independent of the discipline. She has been active as an artist since the very young age of 4, discovering her way, first in dance, music and drama till she found "her discipline" in Fine Arts.